The Island Batik Ambassador’s December challenge was to create a project that is Whimsical & Wonky”. Well, I settled on Tipsy! My Holiday Tipsy Tree is based on BlockBuster pattern # 27 Roll the Dice . 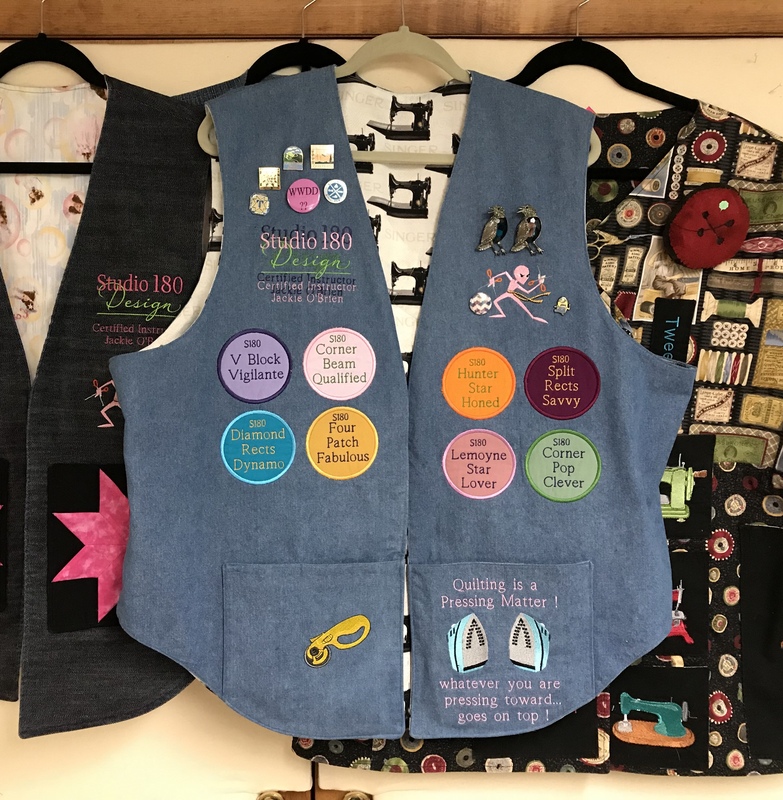 This year I have made many quilt projects using Split Rects Units so it is only fitting I end the year with Split Rects. For this quilt I used Island Batik’s “Alpine Jungle” line of beautiful batiks. I also used Studio 180 Design Split Rects, Square/Squared, Wing Clipper I & Lemoyne Star tools. I chose four different green fabrics, 9 for block centers. Cut your elongated triangles according to the Split Rects tool instructions. Cut your background side triangles the same way. Lay out your split rects, align and center the two pieces with just a bit of overlap at the ends. Stitch and press seams open. I love using my “Stick Strip” for pressing seams open. Following the tool instructions trim, rotate & trim again. Make the 9 Square/Squared units following the Square Squared tool instructions. I chose 9 different unit centers but you could make them all one color if you like. Each side of the square/squared unit will be different to match the fabric used for the split rects units. Lay out your units as they will be stitched. 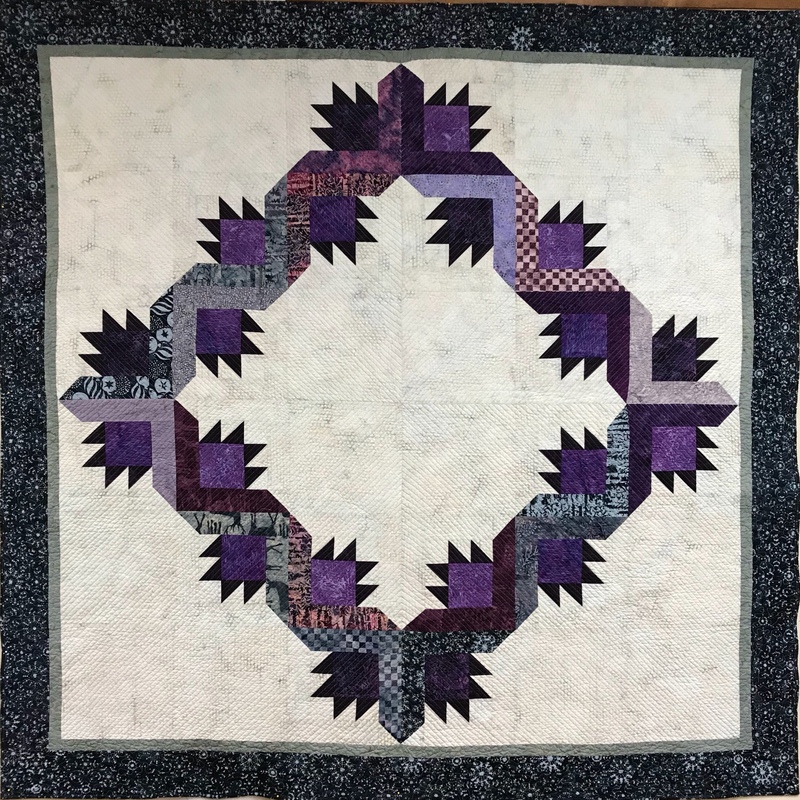 Choose a square/squared unit for the center, rotating the square/squared unit so the side triangle matches the same fabric used in the split rects unit. This block is constructed using a partial seam. Place the square/squared unit right sides together with one of the split rects units being sure to match the fabrics and stitch half way down the square/squared unit. This gives you the next complete edge to stitch another split rects to, again matching the square/squared unit fabric with the split rects fabric. When stitching the split rects to the square/squared unit, always place the precision cut square/squared unit on top be careful to stitch using the unit center as a guide. Continue stitching the split rects units and complete the partial seam, pressing toward the split rects units. Make the other 8 blocks the same way. Tree Trunk: Make one set of 2″ x 4″ finished flying geese using the Wing Clipper I tool instructions. Only 3 flying geese units will be needed. Tree Star: Make the 6″ finished lemoyne star using the Lemoyne Star tool instructions. Lay out your quilt blocks and construct the quilt center. Once the borders are added the finished quilt measures 38″ x 38″. This entry was posted in BlockBuster's, Flying Geese, Island Batik Ambassador, Split Rects, Square/Squared Tool, Studio 180 Design, Studio 180 Design Tools and tagged BlockBuster's, Deb Tucker, Island Batik, Island Batik Ambassador, quilting, Quilts, Studio 180 Design on December 3, 2018 by ifthesethreadscouldtalk. Evening Elegance measures 60″ x 60″. The blocks are finished at 12″. 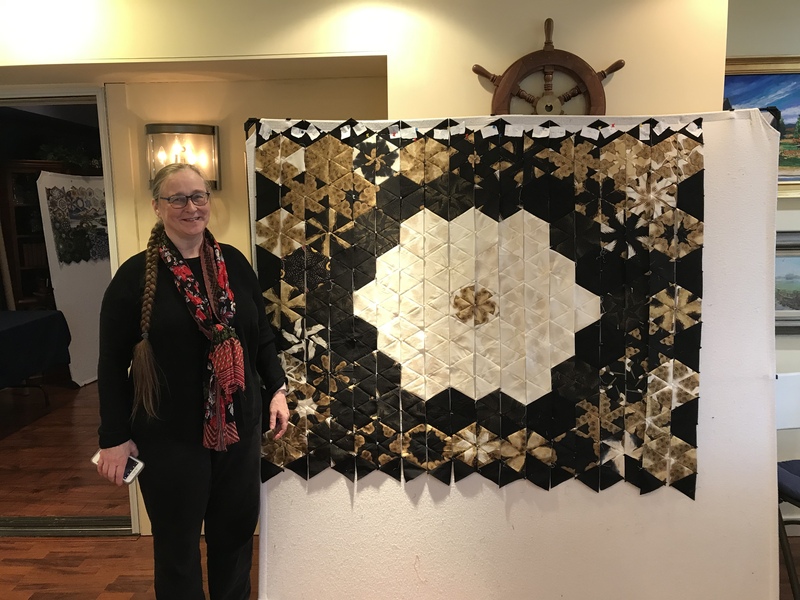 This is one version of Deb Tucker’s Evening Elegance quilt. 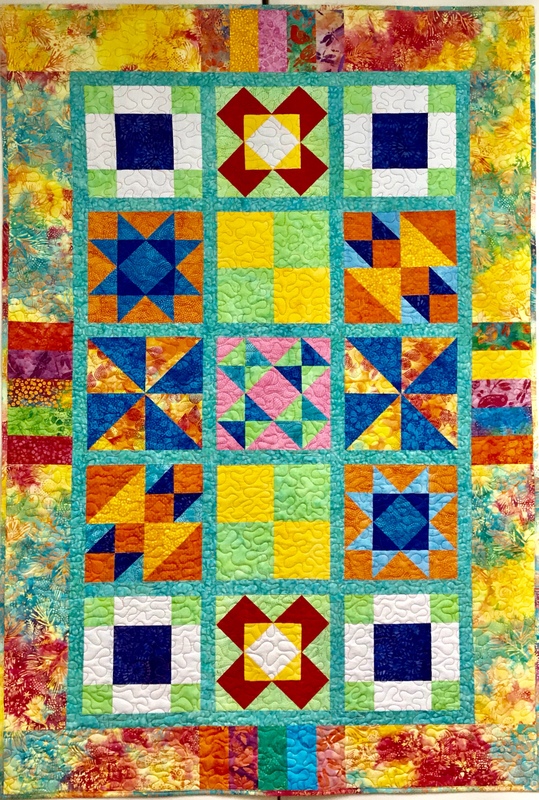 Go to Deb Tucker’s blog to see version 1 and to download both quilt settings. It was designed using BlockBuster Patterns: 1 Ohio Star, 7 Whimsy Turndash, 9 Three in One, 16 Peaks & Valleys, 20 Stellar Collision, 21 Around the Block, 22 Square Dance, 26 Cactus Blossom and 34 Evening Shadow. I really had fun making this quilt. I love the “Circle of Nine” layout. These beautiful fabrics from Island Batik are gorgeous. This entry was posted in BlockBuster's, Island Batik Ambassador, Island Batik Fabric, Studio 180 Design, Studio 180 Design Tools, Twilight Chic by Island Batik and tagged BlockBuster's, Deb Tucker, Island Batik, Island Batik Ambassador, quilting, Quilts, Studio 180 Design, Twilight Chic Fabrics on November 9, 2018 by ifthesethreadscouldtalk. This is day 3 of Studio 180 Design’s Evening Elegance Blog Hop. Deb Tucker has launched her own fabulous signature fabric collection, Twilight Chic, with Island Batik and fabric designer Kathy Engle. Check back on Friday to see one version of the Evening Elegance quilt completed. 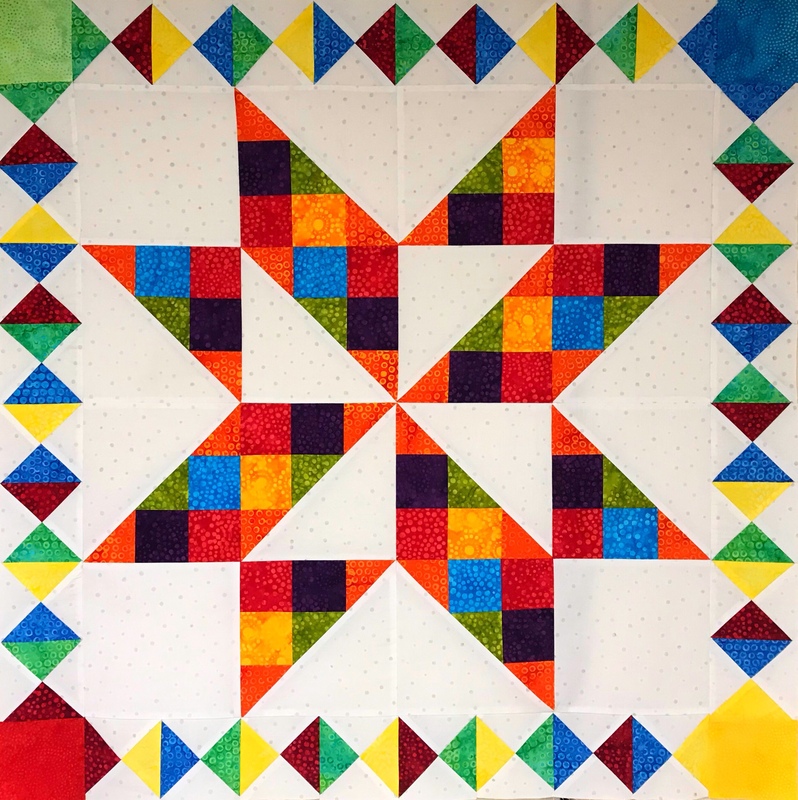 The quilt was designed using BlockBuster Patterns: 1 Ohio Star, 7 Whimsy Turndash, 9 Three in One, 16 Peaks & Valleys, 20 Stellar Collision, 21 Around the Block, 22 Square Dance, 26 Cactus Blossom and 34 Evening Shadow. I was assigned BlockBuster 9 – Three in One, using the V Block and Tucker Trimmer I tools. Unit A. V Blocks: Make 4 V Blocks. Unit C. Quarter Square Triangle: Make a Quarter Square Triangle with the fabrics that match the V Blocks, remember to swirl the center. Unit B. Combination Units: Combination units begin by making half squares triangles (HSTs). The fabric for the HSTs must match the side triangles in the v blocks, so I began by laying out the starter squares next to the V Blocks and then making them into the combination units. When making Combination units, you are making two at a time, a left & a right. Choose the units that will match the side triangles in the V Blocks as shown above. Sew the units into rows then join the rows into the block. My second BlockBuster was 16 Peaks & Valleys using the Diamonds Rects Tool and V Block Tool & the Sidekick, High Low Technique Sheet. Unit A. Diamond Rects: Cut your precision diamonds & side triangles per the Diamonds Rects instructions. Stitch opposite side triangles, press toward the side triangles. Stitch the other opposites side triangles. Make 4 diamond rects units and trim. Stitch using a partial seam to the center square. Stitch the second diamond rects unit and so on to finish the block center. Unit B. High Low Left: Following the instruction the in technique sheet cut your squares and trim, add the replacement side triangle. Mark and stitch the square for the low point and trim. Make four High Low Left Units. Unit C Sidekick Right: When making a Sidekick Right, position fabrics face down for cutting. Cut and stitch replacement side triangles. Peaks & Valleys block unit layout. Join the rows to complete the block. 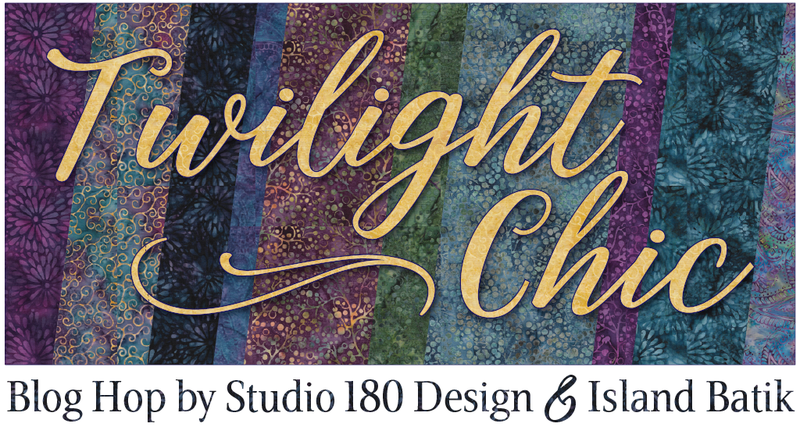 I love the Twilight Chic fabrics from Island Batik and I can’t wait to show you one of the finished quilts! This entry was posted in BlockBuster's, Diamond Rects Tool, Evening Elegance Blog Hop, Island Batik Fabric, Studio 180 Design, Studio 180 Design Tools, Tucker Trimmer 1, Twilight Chic by Island Batik, V Block and tagged BlockBuster Patterns, Deb Tucker, Evening Elegance Blog Hop, Island Batik, Island Batik Ambassador, quilting, Quilts, Studio 180 Design, Studio 180 Design Certified Instructor, Twilight Chic Fabrics on November 7, 2018 by ifthesethreadscouldtalk. If you follow my blog you know I have a female chihuahua named “Tucker”. Tucker is definitely in charge! Tucker keeps a close eye on everything I’m doing. All that supervision makes her sleepy. She will climb on my head to get me to go to bed by 7:30 at the latest. I’m not ready to sleep that early, so I am usually on my laptop. Last night I was playing with EQ8. I was drawing the BlockBuster patterns by Deb Tucker. It is so much fun seeing what the blocks will look in quilt. One of the blocks I was playing with last night BlockBuster 10 Twisted Pinwheel. This block has a 4 patch in the center, High/Low units & Sidekick units made with the V Block tool and Sidekick High\Low Technique Sheet. I was able to load fabric scans of Island Batik fabrics into the EQ8 software. 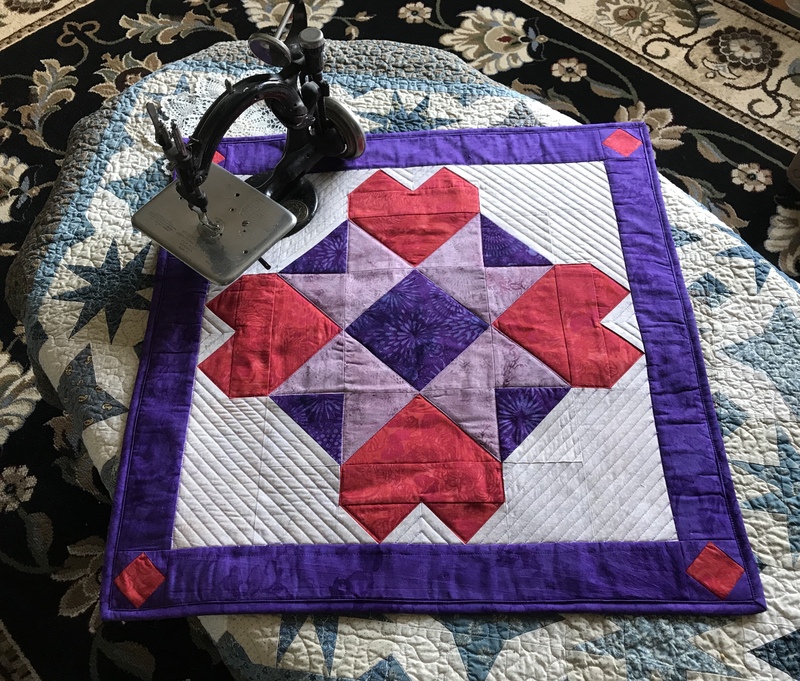 I decided to design the quilt with 12″ finished blocks, on point, adding sashing with 6″ Twisted Pinwheels as cornerstones and Piano key outer borders. What a nice way to end summer! Have a great weekend everyone! This entry was posted in BlockBuster's, Electric Quilt, Island Batik Ambassador, Island Batik Fabric, Island Batik Great Outdoors Blog Hop, V Block and tagged BlockBuster, Deb Tucker, Electric Quilt, EQ8, Island Batik, Island Batik Ambassador, Island Batik Great Outdoors Blog Hop, quilting, Quilts, Studio 180 Design, V-Block on August 31, 2018 by ifthesethreadscouldtalk. I love Island Batik fabrics, Studio 180 Design Tools & EQ8! So I wanted to share some of my Sunday morning creativity. 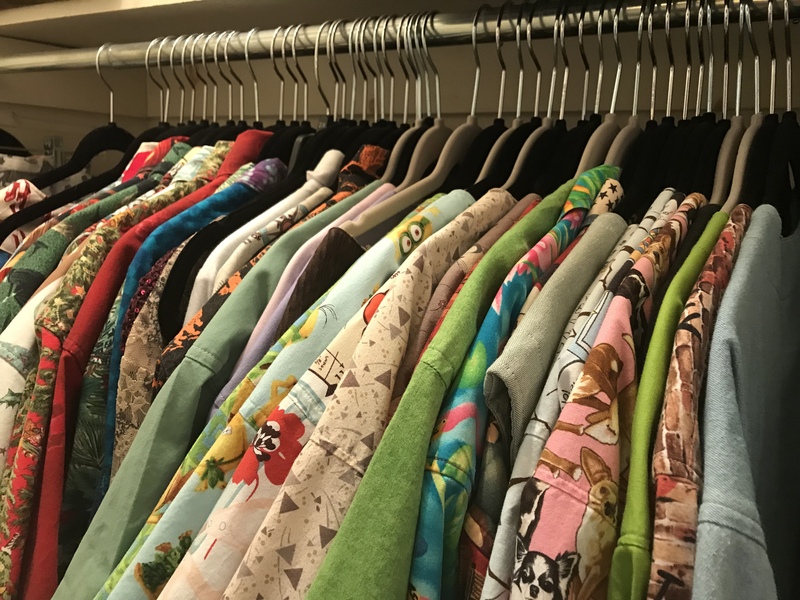 I started with BlockBuster 19 Exploding Lemoynes (you can find all the BlockBuster patterns on http://www.ifthesethreadscouldtalk.com). There are 3 different color versions of this block. These blocks require the Rapid Fire Lemoyne Star tool. This is what happens when you put 4 version 1 blocks together. Exploding Lemoynes version 2 block. Exploding Lemoynes Version 2 with 4 blocks. Exploding Lemoynes version 3 block. Exploding Lemoynes version 3 with 4 blocks put together. These are so cool and easy to make with the Rapid Fire Lemoyne Star tool that makes Lemoyne stars in 10 sizes from 3″ to 12″ blocks! Be sure to visit all the links and enter to win “Give Aways”. This entry was posted in BlockBuster's, Island Batik Ambassador, Island Batik Fabric, Island Batik Great Outdoors Blog Hop, Lemoyne Star and tagged BlockBuster Patterns, Deb Tucker, Island Batik, Island Batik Ambassador, Island Batik Great Outdoors Blog Hop, quilting, Quilts, Rapid fire Lemoyne Star, Studio 180 Design, V-Block on August 26, 2018 by ifthesethreadscouldtalk. 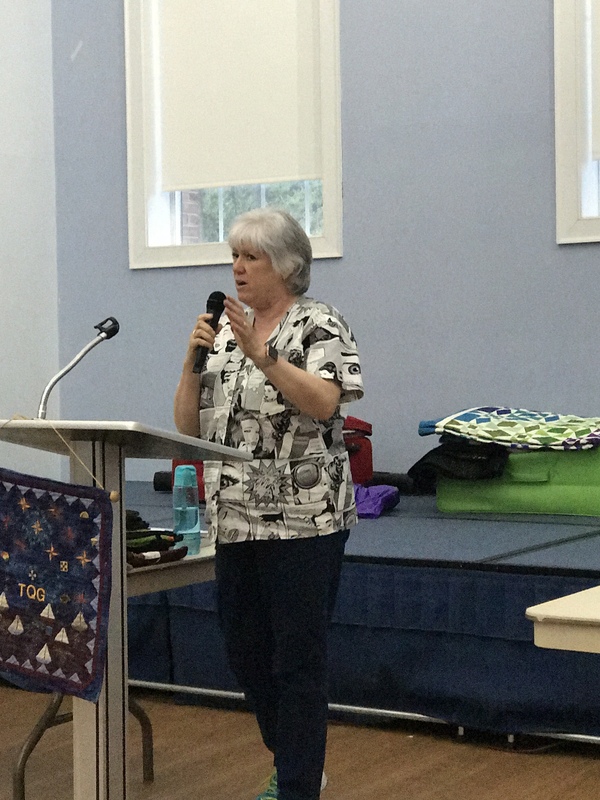 I just finished my quilt containing Deb Tucker’s BlockBuster patterns #1 through #9! Scrapodopolis seems like a pretty good name. I used the Tucker trimmer 1, Wing Clipper 1, Square/Squared, V Block & Four Patch Square up tools from Studio 180 Design. 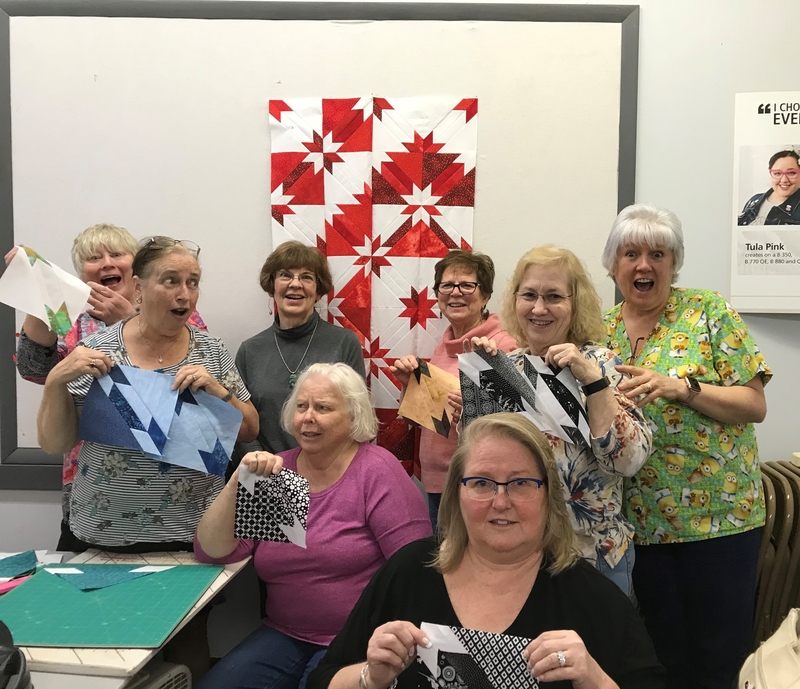 I was encouraged by fellow Certified Instructor Sarah Furrer to try a block layout a little outside the box, and I totally did! This is the layout I chose. I did change it up a little. My blocks are 12″ when finished. that indicated that my Square/Squared units would finish at 6″. I Needed 16 square/squared units and decided the center squares would be cut from 16 different fabric pulled from the blocks & the side triangles would be the same background fabric used in the blocks. The 3″ rectangles on either side of the square/squared units would match the border fabric. The outer borders would finish at 6″ also. I added a 3″ border outer border to enhance the four square/squared units in the border. This is much better. Now there are 3 rows of blocks in the center ready to be stitched together & the border square/squared units are pieced to the border strips. Once all the pieces were stitched together I decided I needed to add a 3″ outer border so all the units appear to be floating. I am so pleased with how it came out! My finished quilt measures 67″ x 67″. I can’t wait to start the next quilt with BlockBuster #10! This entry was posted in BlockBuster's, Four Patch Square Up, Square/Squared Tool, Studio 180 Design Tools, Tucker Trimmer 1, V Block, Wing Clipper 1 and tagged BlockBuster's, Deb Tucker, Four Patch Square Up Tool, quilting, Quilts, Square Squared, Studio 180 Design, Tucker Trimmer 1, V-Block, Wing Clipper I on March 30, 2018 by ifthesethreadscouldtalk.